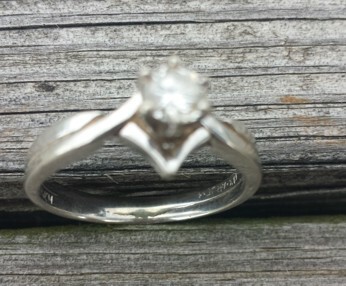 Brett: Found and returned Diamond lost for 4 years ! 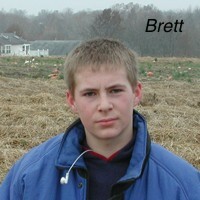 Brett was an exceptionally conscientious and dedicated employee of Lakeview Farms for over nine years (2006 thru 2015). Brett majored in Accounting and joined Deloitte in 2016 for a full time auditor position. Brett's 9+ length of service is close to the 10+ years of our current record holder, Christie Benne. Brett's dad, Dave, worked at Lakeview Farms in the mid 1980's and is also a member of our Lakeview Hall of Fame. During the summer of 2015 Brett was working in a newly tilled field planted to Strawberries and noticed something that reflected light in the bright sunlight. 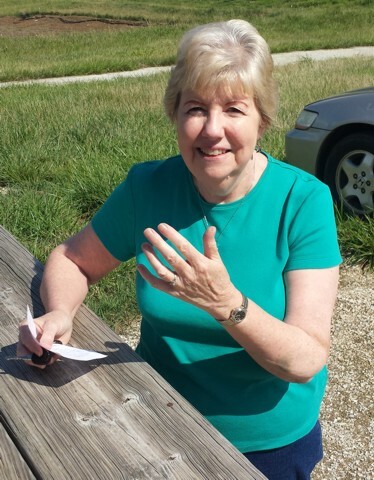 It turned out to be a diamond solitaire white gold ring lost by Brenda Mills while picking strawberries in 2011. Brenda and her husband spent several hours in June 2011 searching for the ring and even rented a metal detector but were ultimately unable to locate it.